Absolutely gorgeous, single-story home in Winter Parkâs desirable Windsong community! 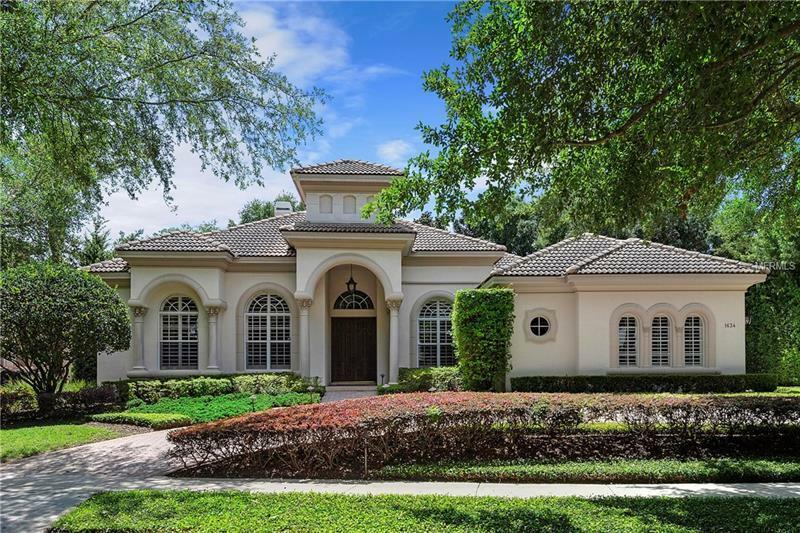 Custom built, this exquisite 4 bedroom, 3.5 bath home features an expansive interior layout with formal living and dining areas, a home office, great room, and gourmet kitchen. The owner has spared no expense in upgrades; youâll find marble floors throughout the living areas, high ceilings, crown moldings, Waterford chandeliers, and an Ivory Marble fireplace hand chiseled in South America. The chefâs inspired kitchen offers two dishwashers, three sinks, 2 two ovens, a 6-burner gas range, and 46â refrigerator. The spacious master bedroom has double walk-in closets, a luxurious master bath, and tranquil views of the backyard. Split from the master bedroom, on the opposite side of the home, are three comfortably sized bedrooms, each with walk-in closets. A wrap-around screened porch runs along the back of the home overlooking the oversized backyard with mature landscaping, providing a very private oasis. Located in the highly sought-after Windsong community, residents enjoy exclusive amenities such as a splash park, two community pools, playground, fishing pier and chain of lake access.